My apologies for the delay in getting this posted so late. Life has taken a much busier turn since Christmas and had made it difficult to spend as much time researching and writing as I would like. Not only have I been busier, but I keep finding myself adding more bits and pieces about clothing design as I go along. Go figure! 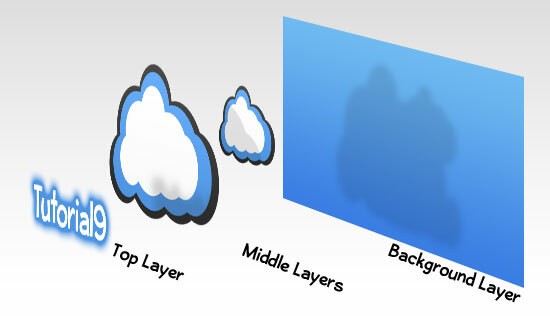 RECAPIn Part 3, we browsedthe Linden Labs UV Map Templates for the 3 main body parts of the SL Avatar. These files are better known as "Second Life Fashion Design Templates", which are available for download from the SL Wiki (see Resources at bottom for a link). While you, as a designer, are not required to use this particular set of templates, it is good to review them from time to time since all other template sets are based on these originals. I think we all get stuck in using a particular template or combination of templates and forgot a few things that can be found on the Linden template. LOVE HATE HUNT STARTS TOMORROW! Love/Hate Hunt starts tomorrow...join the group to keep up on the latest news...check out the blog for hints and participants. Full permission items...2L per item. REMEMBER..even though the items are full perms via a promotional venue, Terms of Service and Licensing User Agreements still apply. PLEASE...respect the creativity and intellectual property of SL Creators. My tiny little SL-related blog topped 1,000 views of varying articles late yesterday! Is a huge FIRST for me. 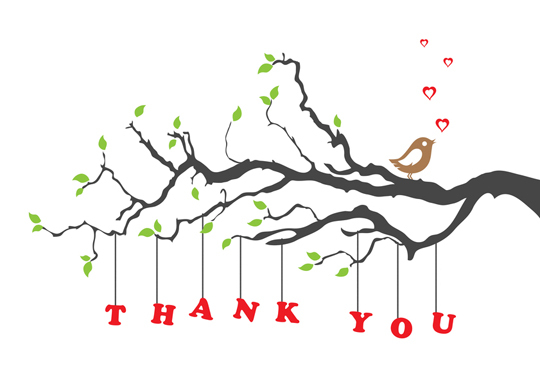 Thank you very much Dear Reader and Follower for contributing to the success of this blog! I have a wonderful friend in Second Life (SL), who has this boot obsession. Now I love boots just as much as the next woman, but Lady X's (LOL...yes, protecting the names of the not so innocent) passion for bootsis well-known among our group of collective friends. Thigh-high, calf-length, ankle length, zippered, tied, buckled, buttoned, slip-on, flats, platforms, stiletto heeled ...you name it..she probably has it crammed into her SL closet somewhere. Recently, Lady X was grumbling about how mesh boots, especially those which are rigged mesh, never seem to fit her correctly. No one seemed to have a solution for her so I tried to tackle the problem for her. It being a new year, and with my increasing skills in making mesh components, I thought I would post the licensing and terms of service agreement for those of you tending to buy current or future full permission items. The main jist of this is, as with any licensing agreement, you are being allowed the use of the products to enhance and/or add to YOUR creative building ideas in Second Life. If you want full creator and intellectual property rights to an item, you will need to make your own. Once again, Hell House Studios is participating in a Hunt. Yes, this is my second hunt, but this hunt will be a bit different than the previous one I was in. The Love Hate Hunt is a full permissions hunt for Creators Only; however, each of the prize gifts will cost you 2L per prize. We have a nice little mesh item we think many creators will find useful. However, please be aware our Licensing Agreement still applies to this hunt prize item. You can find the details of our user license below. The starting point for the hunt is at the following SURL below and you can find more details at the blog URL. 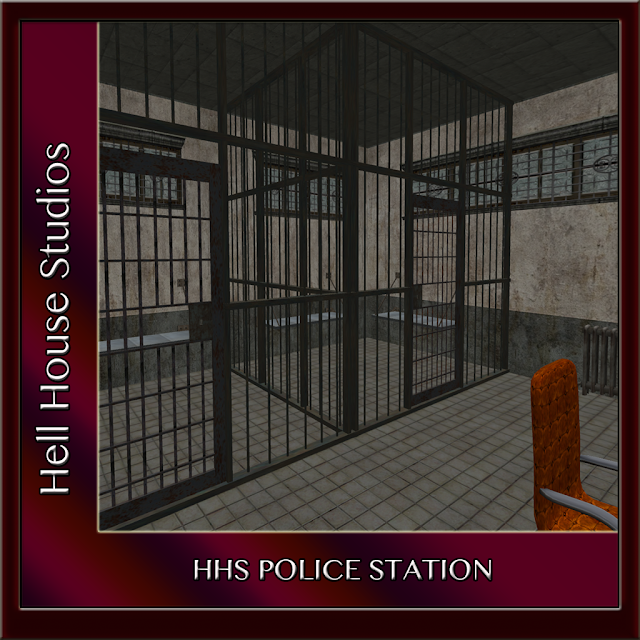 I have rebuilt my old prim based Police Station, which is being put up for sale on SL Market Place today in two version and both include unanimated, unscripted, copy/modify accessories for you to add your own scripts and animations that meet your taste and needs. BOTH version include mesh and sculpted items. Features lockable doors (including the cell) and a number of accessories. The Transfer Only version is less expensive and is set to sell for 800L. This version is for those that just want a single building with copy/modify accessories they can rezz and add ambiance to their areas. NOTE: For those needing animated and scripted items, please watch the blog or SL Marketplace for a coming Police Station Add-On Pack, which will be chocked full of accessories.